We’ve been busy bees over here at ShinyShiny, bringing you gift guides for one and all, and Friday, we gave you our guide to the best Christmas gifts for her. Now comes its sidekick, our best Christmas gifts for him! Whether it’s your dad, your boyfriend or your brother, the men in our lives are always 1000 times harder to buy for than anyone else. There’s only so many times you can buy him novelty socks before he stops pretending he’s going to wear them anytime after Boxing Day. From bags to headphones to peanut butter makers (yes, really) we bring you our 21 favourite gifts and gadgets for any of the men you’re struggling to buy for. And, to make things even better for you, they’re all under £50! Mi-Pac are really well-known for their great-looking, affordable and durable backpacks, but this duffle bag is just so fun and practical that I had to put it on the list over a backpack. Great for all those weekends away you go on together; this starry print is out of this world (sorry)! 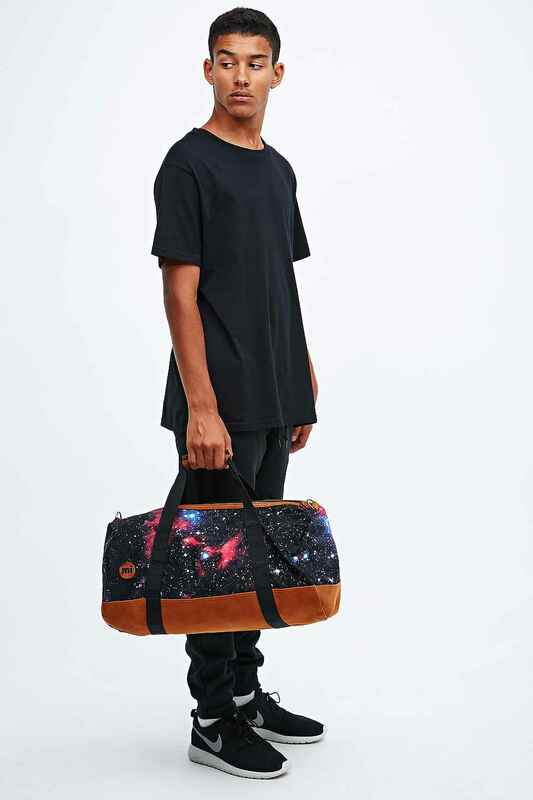 The Mi-Pac Cosmos Duffle Bag is available from Urban Outfitters for £35. 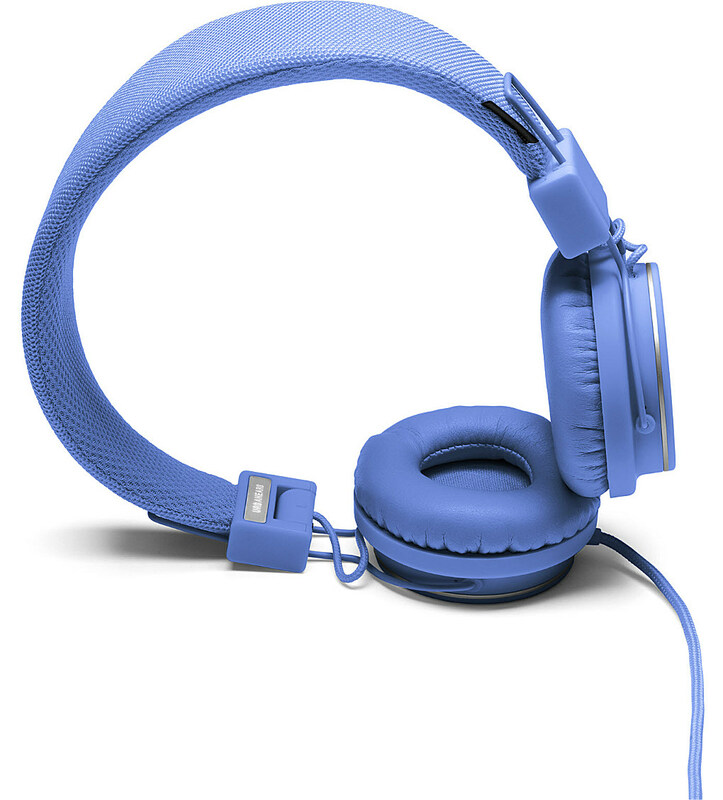 Urbanears headphones are a favourite here at ShinyShiny for their premium sound quality at a budget price. Add to that their amazingly bright and varied colour range, as well as the fact that they fold up into the size of a fist, and you’ve got a winner on your hands. You can get your hands on a pair of Urbanear Plattan headphones for £49.99 at Selfridges. 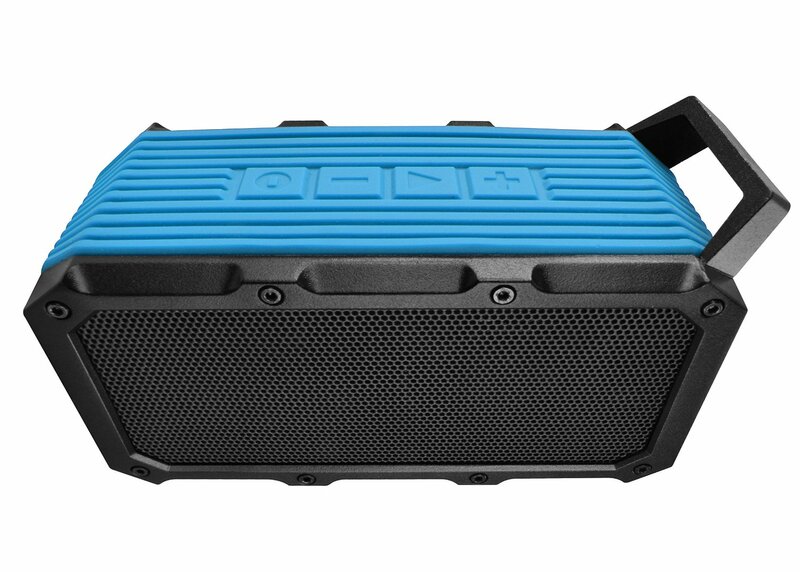 If the man in your life loves his music and the outdoors, the Divoom Voombox may be the perfect present for him. Although it looks tiny, this portable Bluetooth speaker produces incredibly loud sound. The Voombox is also extremely light yet rugged, making it great for camping, and comes with a bike mount, so he can listen to his tunes while he cycles. We wouldn’t advise looking at his phone to skip to the next song while manoeuvring a bike however! The blue Divoom Voombox is currently on Amazon for £43.41. Help your man keep fit in 2015, by buying him a Fitbit Zip. While more basic than a lot of wearables on the market, this one is great for people who are new to the fitness tracker market, as it shows you the number of steps you’ve taken throughout the day, as well as how many calories you’ve burned. Working alongside Fitbit’s excellent app; there’s a reason the Zip was nominated for Best Value for Money in the ShinyShiny Awards this year! 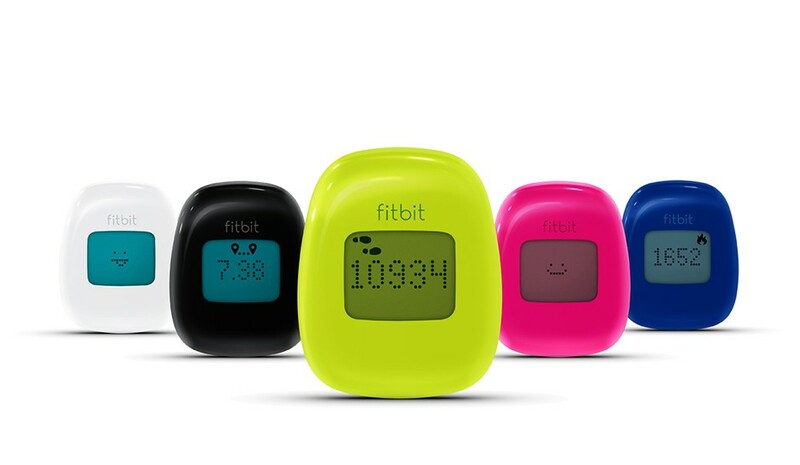 You can buy a Fitbit Zip in either blue, white, lime, magenta or charcoal for £49.99 on the Fitbit website. These Casio watches will never go out of fashion, but sometimes it can be annoying that everyone seems to have one. However, this particular design, in silver and camouflage, is much cooler than the standard gold ones that every single person ever has. 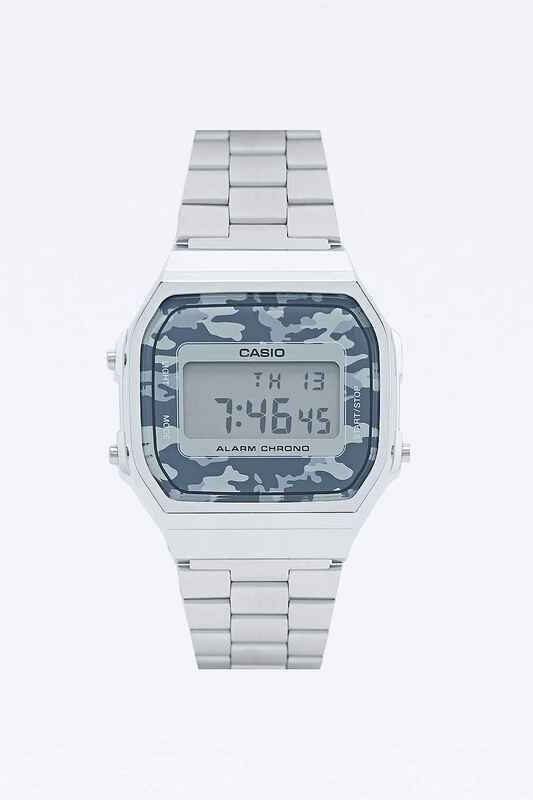 The Casio Retro Camo Watch is available from Urban Outfitters for £30. IT’S CHRISTMAAAAAS! So, what better than an elf onesie? It’s warm, cozy AND funny. Plus, it can definitely be worn all year round…ish. I mean, it can definitely be used as fancy dress! The Christmas Elf Onesie is £32 from ASOS. 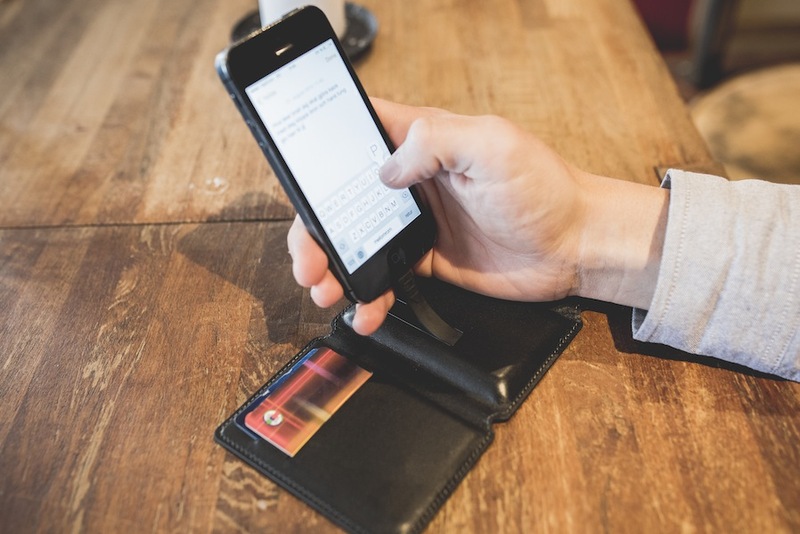 The SEYVR is the wallet that has a charger in, so the man in your life’s phone will never run out of juice again. The wallet can charge Android phones up in just two and a half hours, and still functions as your everyday wallet, holding up to six cards. The MicroUSB wallet is available in black or brown for £49.95 from Cuckooland, but the iPhone wallet is a bit pricier, which is why it’s not on this list. Struggling over what to buy a music lover who’s got everything? 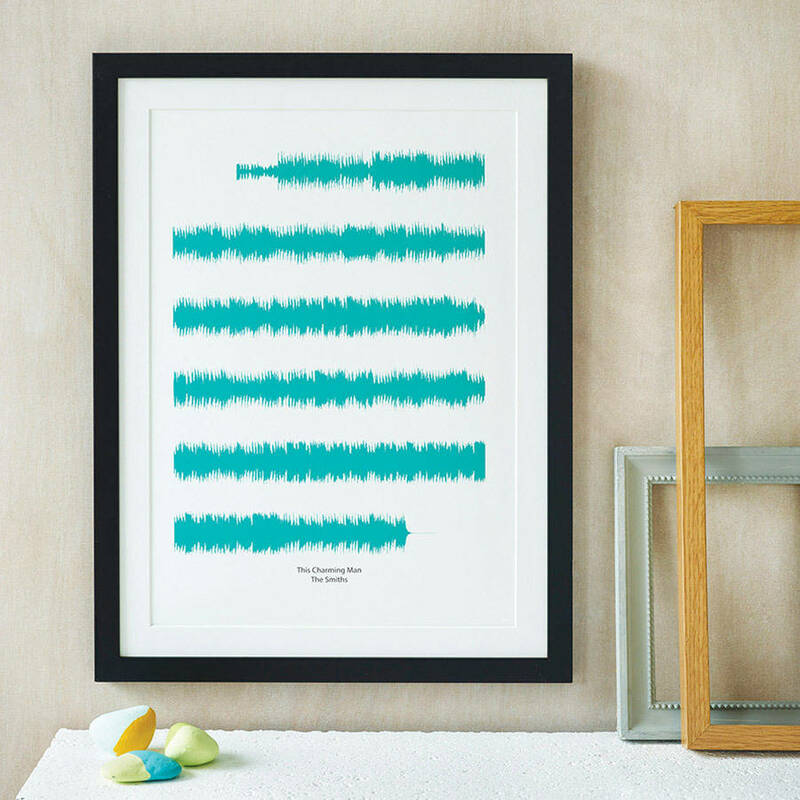 These personalised prints of his favourite song in the format of visual soundwaves are so thoughtful and unique, and will look amazing on any wall. Your chosen song – anything from his first record bought to his favourite karaoke tune – will be converted into soundwaves in the colour of your choice. The first dance, the first record bought, or even your favourite karaoke tune. The soundwave prints are available for £25 from NotOnTheHighStreet. This is the perfect present for any man that travels for business a lot, especially as it’s ideal for cabin luggage. The Proporta Gadget Bag’s padded lining protects mobiles and laptops from bumps and scratches, and there’s loads of separate compartments for quick and easy access to each different gadget. Each compartment also has a little plastic aperture, so whoever you’re buying for can feed headphones or charging cables through to your phone, while it’s safely concealed in the bag. 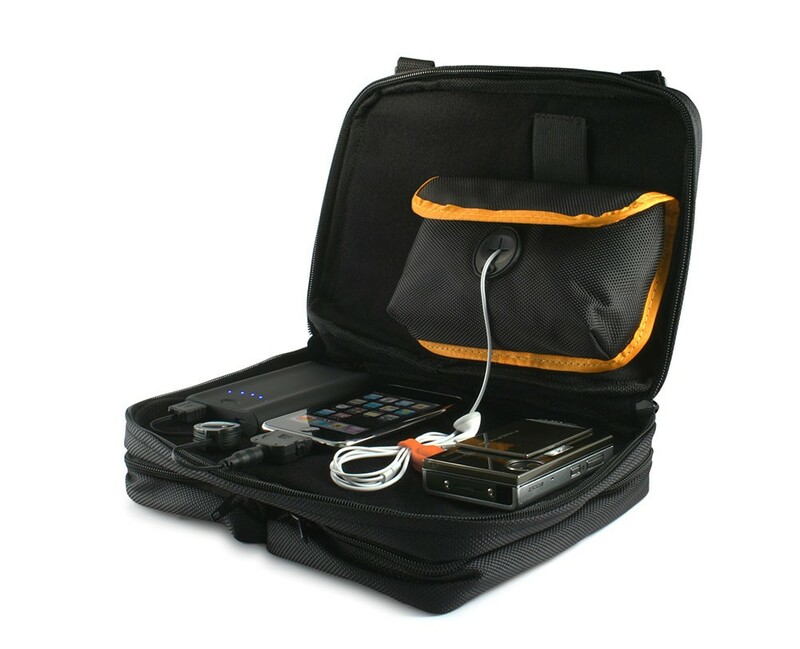 You can get your hands on a Proporta Gadget Bag for £24.95 from the Proporta website. A great present for your younger brother; this book will basically tell him the best places to get drunk across the world. This and the scratch out world map further down on the list would be a great combination! 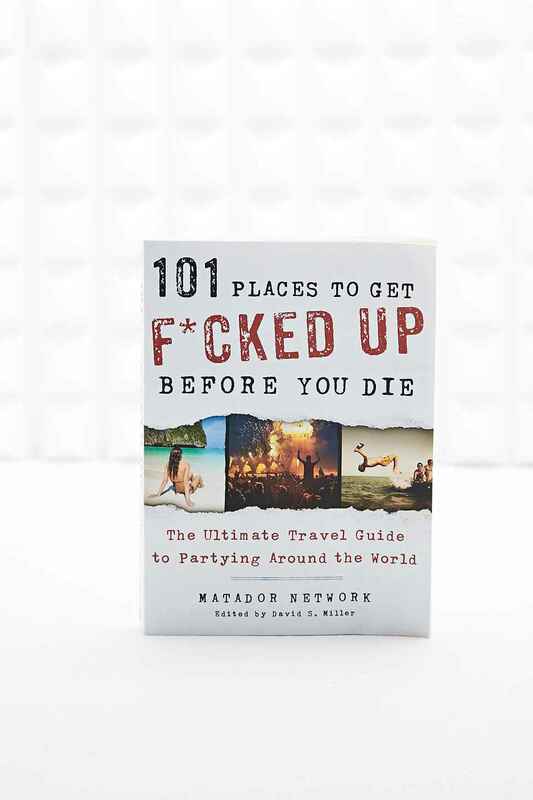 101 Places To Get F*cked Up Before You Die is available from Urban Outfitters for £9.99. If you fancy getting a bit nostalgic and personal with your Christmas gift, these mix tapes are absolutely amazing. 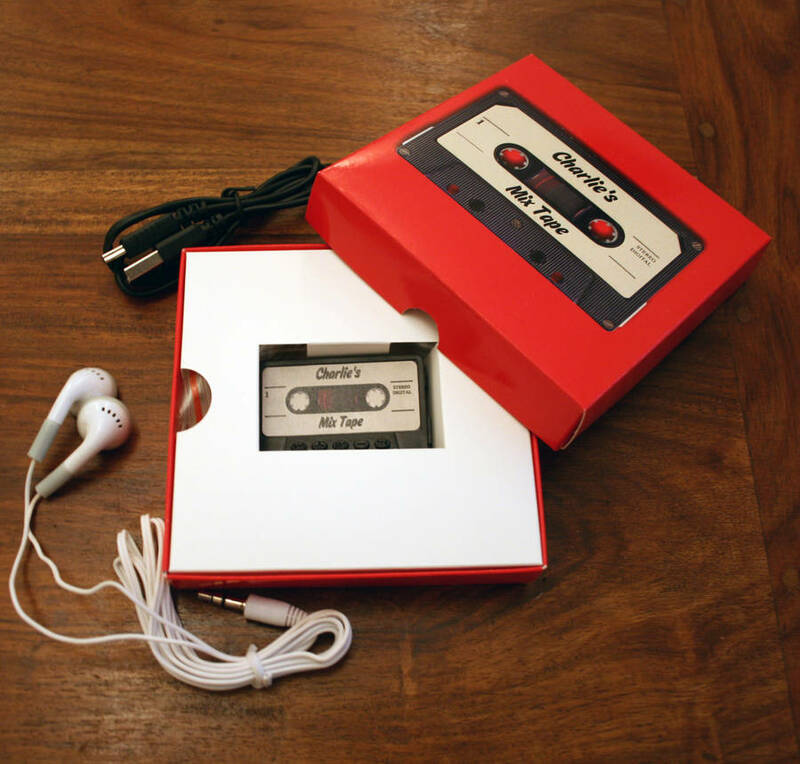 Mix tapes are something of a lovely distant memory, but GettingPersonal has updated them to the 21st century, by allowing you to create MP3 players, that look like cassettes. Each MP3 player holds up to 200 songs, and comes in a range of different colours. You can personalise the mix tapes further by adding your recipient’s and/or your name. The Personalised MP3 mix tapes are available from NotOnTheHighStreet for £20. The perfect present for any Breaking Bad fan and gymgoer, this Heisenberg water bottle will make whichever man you’re buying for the most pop culture aware man on the treadmill. The bottle is also eco-friendly, so eco warriors will appreciate it too! 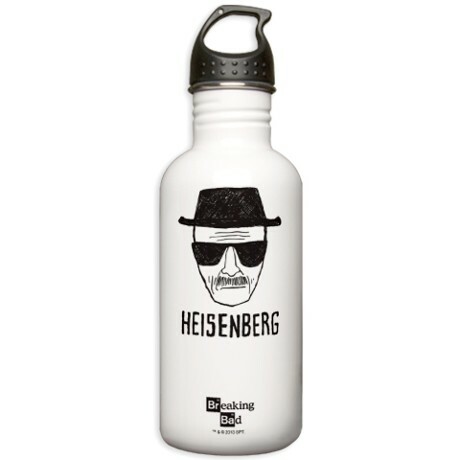 You can get your hands on a Heisenberg Sports Water Bottle for £18 from CafePress. It can be thirsty work riding a bike to work, so keen cyclists will really appreciate this drink-carrier that attaches to bikes like a saddlebag. The waterproof bag holds six 500ml bottles. Just make sure you’re not condoning drink-cycling! 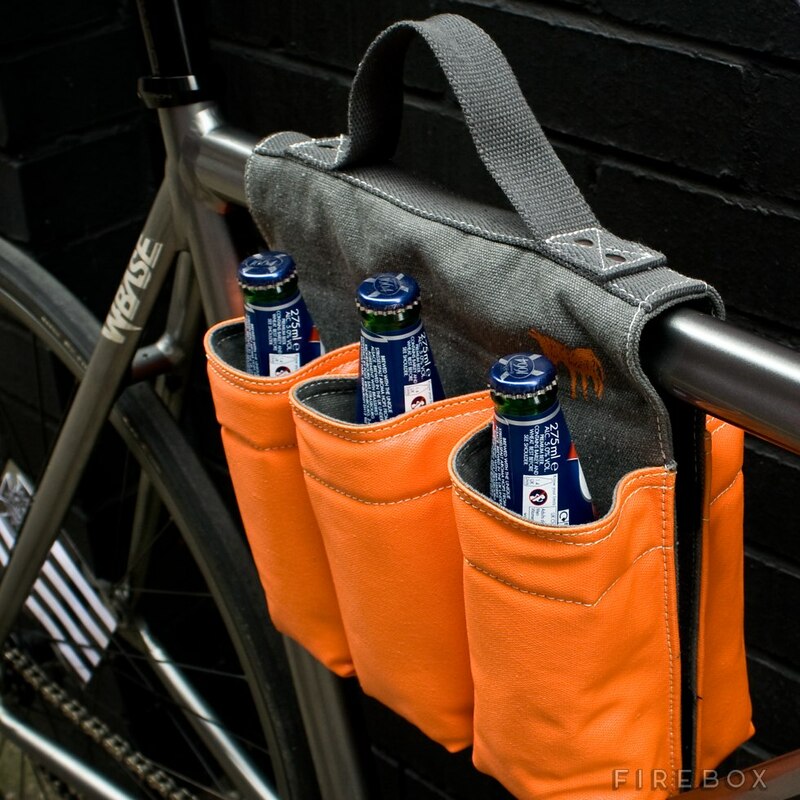 You can get a Six-Bottle Bike Bag from Firebox for £34.99. Unfortunately it’s not possible to present anyone with Spidey Senses (though we wish it were), but we’ve found the next best thing. 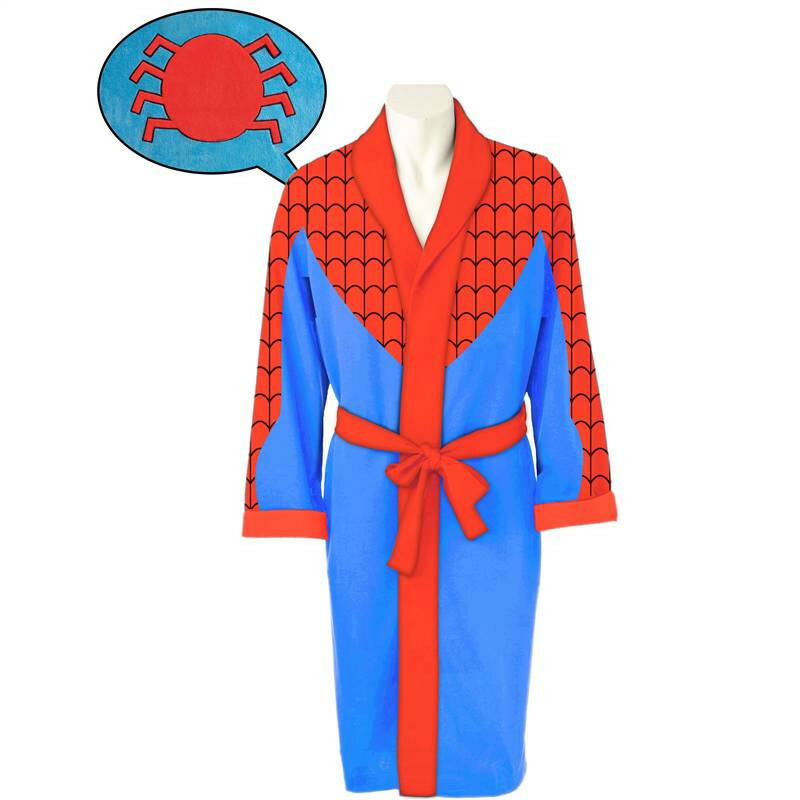 This dressing gown will make your brother feel like he’s Spiderman every day of the week. AND it will keep him warm and cozy on those hungover Sundays. The Spiderman Robe is available for £39.99 from QT Gifts. When Vivvy W is on sale, you do not say no, even if it is just an iPad Mini case. It’s a bloody gorgeous iPad Mini case though, and it will protect your boyfriend’s iPad Mini, and make it look really good in leather. Also, it’s definitely so unisex that you could sneakily steal it. Even more reason to buy it! 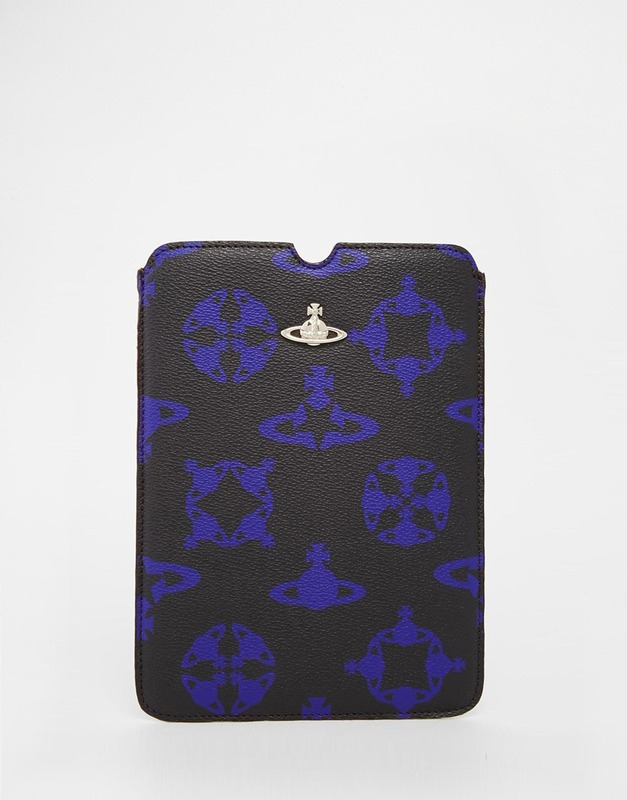 The Vivienne Westwood iPad Mini case is available for £38.50, down from £55, from ASOS. In this day and age, we all need our phones to be charged at all times, and it’s so easy to run out of juice. With an impressive 10400 mAh of power, the Weekender Mega Power Bank can charge an iPhone up five times over. Compatible with all smartphones, your brother will be extremely grateful for this portable charger, especially if he’s off to a festival. The Weekender Mega Power Bank is available to buy from Menkind for £49.99. What’s better than a backpack? A Tutenkhamun backpack, obviously! This one from Hype, best known for their caps and casual wear is really cool, and actually quite affordable. 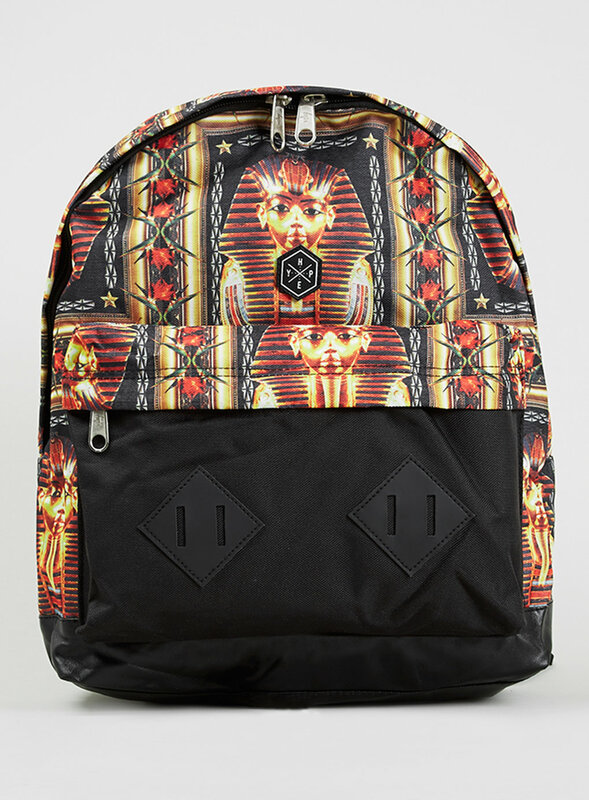 The Hype Tuten Backpack is available from Topshop for £25. For the cheese lover in your life; this traditional cheese board can be personalised with the recipient’s name, as well as their date of birth. The lovely wooden cheese board will look great on a dinner table, but is also perfect for when guests come round, as it’s got a rotating knife board hidden underneath. Of course, there’s also a stainless steel Stilton knife, cheddar knife and cheese fork included. All he’ll need to buy is the wine! 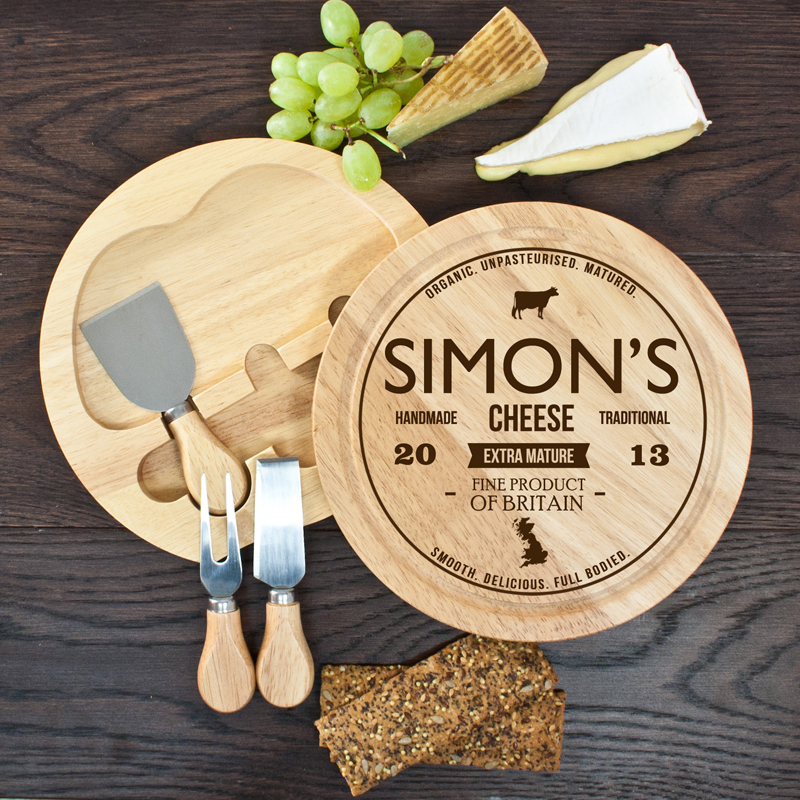 The personalised cheese board set is available for £34.95 from Prezzybox. Let’s be honest, sushi is SO hard to make, no matter how much we tell ourselves that the ones we made are like what you’d see in YO! Sushi. The Sushi Bazooka could change all that. It’s basically a huge cannon that can create rows and rows of perfect sushi, so all he’ll need to buy is the ingredients. Perfect for any budding chef! 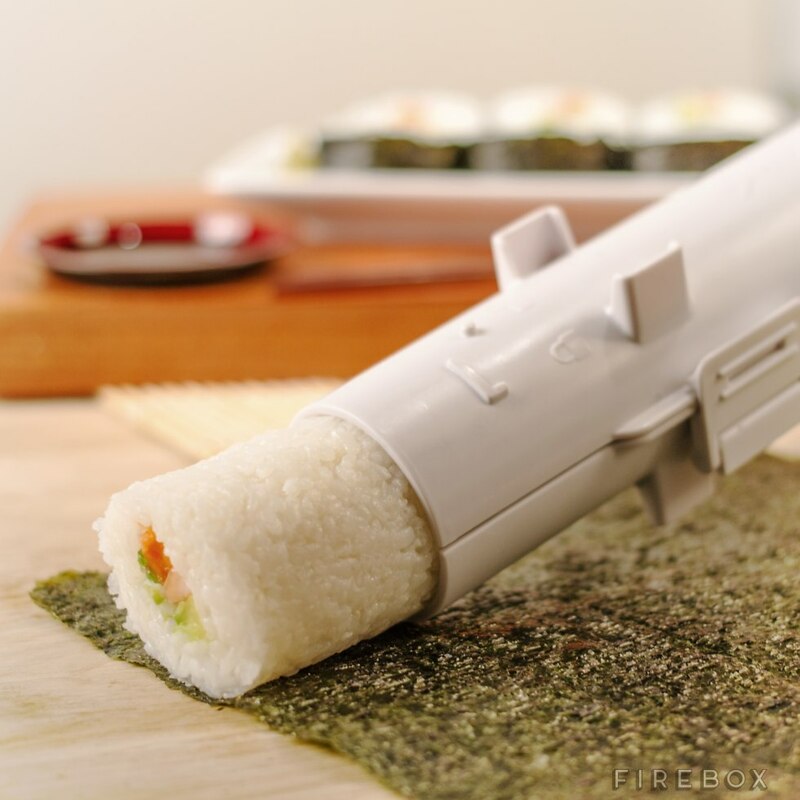 The Sushi Bazooka is available from Firebox for £19.99. For anyone that loves peanut butter, this is an actual peanut butter maker. Yes, it will provide a constant supply of peanut butter. What could be better? Not just peanut butter either, you could use other nuts like almonds, hazelnuts, ANYTHING! 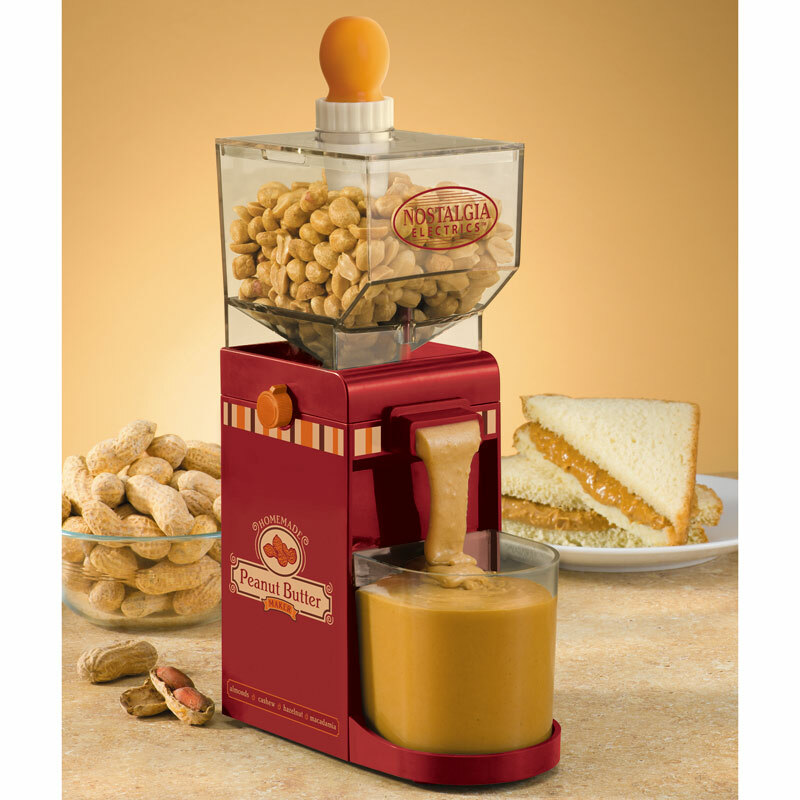 The peanut butter maker is available for £44.99 from Prezzybox. The perfect present for anyone that loves to travel; the scratch off world map poster lets you scratch off every country you’ve been to, meaning every one will be different! It makes a really great wall piece too, although it will probably also make your dad really want to go travelling more just so he can scratch more of the map off. The Scratch Off World Map Poster is available for £15.95 from NotOnTheHighStreet. 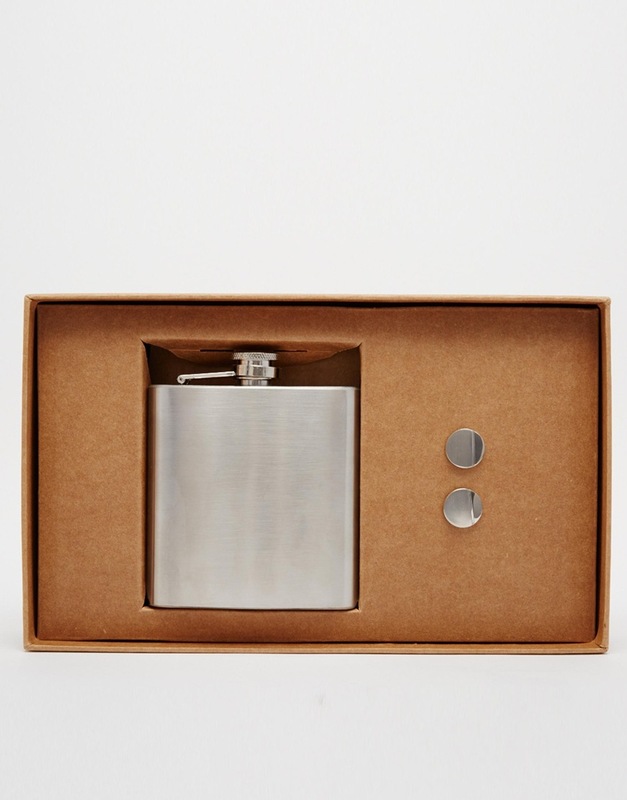 What kind of a man wouldn’t enjoy a hip flask and cufflinks? NO MAN! This gift set is really simple, but still stylish and practical. It’s available from ASOS for £11, down from £16.